Oral contraceptive use is a well-established risk factor for breast cancer and is common among reproductive-aged women in the USA. Its relationship with less common, more aggressive, molecular subtypes is less clear. A population-based case-case analysis was conducted comparing three less common molecular subtypes to luminal A breast cancer among 1701 premenopausal cases aged 21–49 diagnosed with a first primary invasive breast cancer between 2004 and 2015. Medical record reviews and structured interviewer-administered questionnaires were used to collect data on oral contraceptive use. Multinomial logistic regression was used to estimate odds ratios (OR) and corresponding 95% confidence intervals (95% CI) for recency of oral contraceptive use for each subtype of breast cancer. 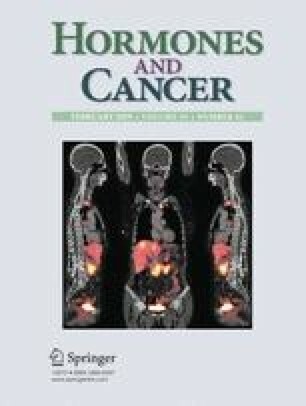 Current use of oral contraceptives and use within 5 years before diagnosis was associated with lower odds of H2E tumors compared with luminal A tumors [OR = 0.5, 95% CI: 0.3, 0.9 and OR = 0.5, 95% CI: 0.4, 0.8, respectively] with increasing duration associated with decreasing odds (p for trend < 0.05). Oral contraceptive use was not associated with risks of TN or luminal B breast cancer. Oral contraceptive use may be more strongly positively associated with risks of luminal A, luminal B, and TN breast cancer than with risk of H2E tumors. These findings contribute to the etiological understanding of different molecular subtypes of breast cancer. This project was supported by the National Cancer Institute (grant numbers: 261201000029C (to C.I. Li), P50 CA148143 (to L.S. Cook, D.A. Hill, C.I. Li), 261201000033C (to C.L. Wiggins), Cancer Center Support Grant 2 P30 CA118100-11 (to L.S. Cook, D.A. Hill, C.L. Wiggins), and Contract HHSN261201800014I, Task Order HHSN26100001 (to C.L. Wiggins)) and the Department of Defense Breast Cancer Research Program (grant number: BC112721 (to C.I. Li)).